Q fever vaccination is available at Doctors on Erin Street. Vaccination against Q fever is recommended for anyone exposed to sheep, cattle, camels, goats and kangaroos or their products, or products of conception. This includes but is not limited to farmers, graziers, feedlot workers, meat workers, roo shooters etc. Even brief exposure to Q fever is enough to give you an infection. The process is simple: We need to see you on two days, exactly one week apart. On the first day you will get a blood test and skin test. We then see you exactly 7 days later, at which time we will read the blood test and skin test and decide if you need a vaccination. If you are vaccinated or found to be already immune to Q fever, your details are sent (with your consent) to the Australian Q Fever Register. They will subsequently send you a card which identifies your immunisation status. This process including the vaccination costs approximately $400 and is non-refundable through Medicare. If it is required for your employment it is usually tax-deductible. 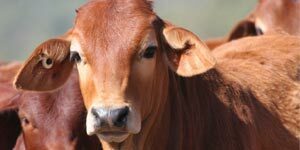 Dr John Heinrich is accredited by the Government to provide Q fever vaccination services.